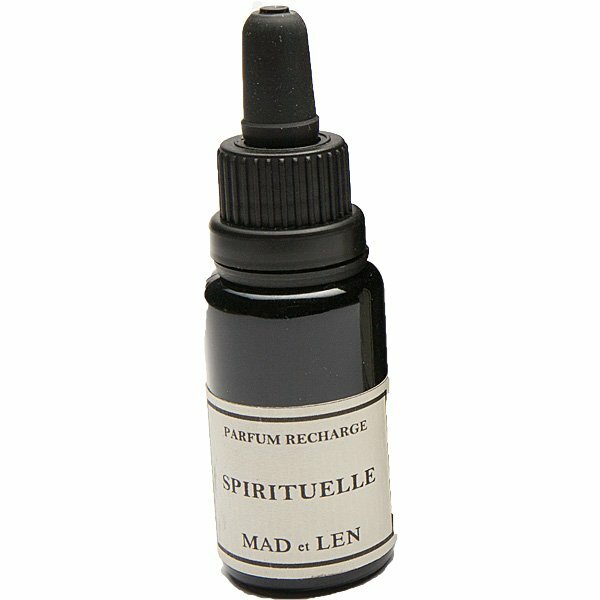 Mad et Len Graphite Refresher Oil is an artist’s atelier. Wood shavings lie about the wide-planked floor. A puff of chalk dust hovers in the air. “There is no greater friend to inspiration than a freshly sharpened pencil.” Notes of sleek graphite, chalk, cut wood & leather. Mad et Len Parfum Recharge Oil is a 1oz eye-dropper bottle of scented refresher oil to keep the scent flowing for your Mad et Len Lava Rocks, Resin Potpourri.